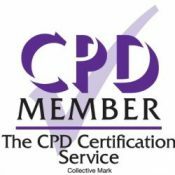 Welcome to our online equality, diversity and human rights training course for healthcare and social care providers. Our online equality and diversity training courses are developed in line with the latest UK legislation and meet the requirements set out by the National Health Service (NHS), Skills for Health’s UK Core Skills Training Framework (CSTF), the Care Quality Commission (CQC), Skills for Care, UK Health and Safety Executive (HSE) and other professional and regulatory bodies. What is covered in this equality & diversity course? Who is the equality, diversity and human rights course for? 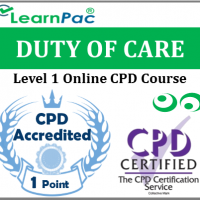 Our online equality, diversity and human rights courses should be completed by all healthcare and social care staff. This includes voluntary staff and unpaid working in NHS and private hospitals. Locum doctors, locum allied health professionals, agency nurses and healthcare assistants can also complete these e learning courses. 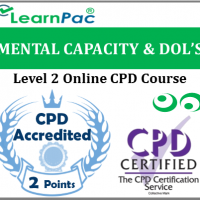 These equality, diversity, inclusion and human rights courses are also relevant for health and social care support workers, including those who work for nursing care homes, residential care homes and charities. What are the aims of this equality, diversity & inclusion course? What are the objectives of this online course? 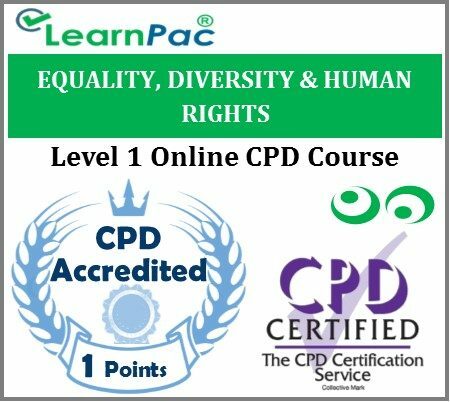 At the end of this equality, diversity and human rights e-learning course, learners will be required to complete an online assessment. On successful completion of the knowledge test (80% pass mark), learners will be able to download a FREE CPD certificate that is valid for one year. The content of this online equality, diversity and human rights training course has been independently certified as conforming to universally accepted Continuous Professional Development (CPD) guidelines. After adding your equality, diversity and inclusion e learning course (s) to the shopping cart (by selecting Add to Cart), you will be able to make a secure payment using all major credit and debit cards. What is equality, diversity, inclusion & human rights? Social equality is a state of affairs in which all people within a specific society or isolated group have the same status in certain respects, including civil rights, freedom of speech, property rights and equal access to certain social goods and services. However, it also includes concepts of health equality, economic equality and other social securities. It also includes equal opportunities and obligations, and so involves the whole of society. “Equal opportunities” is interpreted as being judged by ability, which is compatible with a free-market economy. Relevant problems are horizontal inequality − the inequality of two persons of same origin and ability and differing opportunities given to individuals − such as in education or by inherited capital. Diversity is any dimension that can be used to differentiate groups and people from one another. In a nutshell, it’s about empowering people by respecting and appreciating what makes them different, in terms of age, gender, ethnicity, religion, disability, sexual orientation, education, and national origin. Diversity allows for the exploration of these differences in a safe, positive, and nurturing environment. It means understanding one another by surpassing simple tolerance to ensure people truly value their differences. This allows us both to embrace and also to celebrate the rich dimensions of diversity contained within each individual and place positive value on diversity in the community and in the workforce. Inclusion is an organisational effort and practices in which different groups or individuals having different backgrounds are culturally and socially accepted and welcomed, and equally treated. These differences could be self-evident, such as national origin, age, race and ethnicity, religion/belief, gender, marital status and socioeconomic status or they could be more inherent, such as educational background, training, sector experience, organisational tenure, even personality, such as introverts and extroverts. Inclusion is a sense of belonging. Inclusive cultures make people feel respected and valued for who they are as an individual or group. People feel a level of supportive energy and commitment from others so that they can do their best at work. Inclusion often means a shift in an organisation’s mind-set and culture that has visible effects, such as participation in meetings, how offices are physically organised or access to particular facilities or information. Human rights are moral principles or norms that describe certain standards of human behaviour, and are regularly protected as legal rights in municipal and international law. They are commonly understood as inalienable fundamental rights “to which a person is inherently entitled simply because she or he is a human being”, and which are “inherent in all human beings” regardless of their nation, location, language, religion, ethnic origin or any other status. Very interesting course. Simple to use system, live chat support was great too ! I found this course very interesting as I didn’t know some of the aspects of other religions ect to be taken into account when caring for an individual.